Many companies view leasing as old hat, very similar to banks and other institutions. But in reality, leasing has also helped companies grow and expand. The key is both Leasing and Coffee can be personalized to individual tastes and businesses. 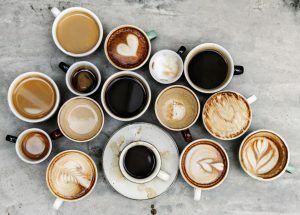 As you know, the strengths of coffee are varied, from Double Espresso, Latte, Macchiato, Americano, all the way to Decaf, in order to suit individual tastes. Well Leasing is much the same, whatever the equipment, whatever the taste, leasing will help you reach the next stage in your business. For instance, if you are a start-up, it can help you acquire the equipment you need to start, or as an established company, help you seize other business opportunities, for growth to complete a new order, or to grow your business in other ways. When competition is hard, the key to any vendor program is to minimize the cost objection, and leasing is the perfect and proven answer to this objection. With business opportunities, “the window” only stays open for a short time. For more information about what you can Lease and how we can get you through that window! Feel free to contact us.